A Healthy, One Ingredient Treat, They're Real Sweet Potatoes! Dr. Harvey has taught guardians holistic ways to provide wellness and comfort for their companion animals for nearly 30 years. 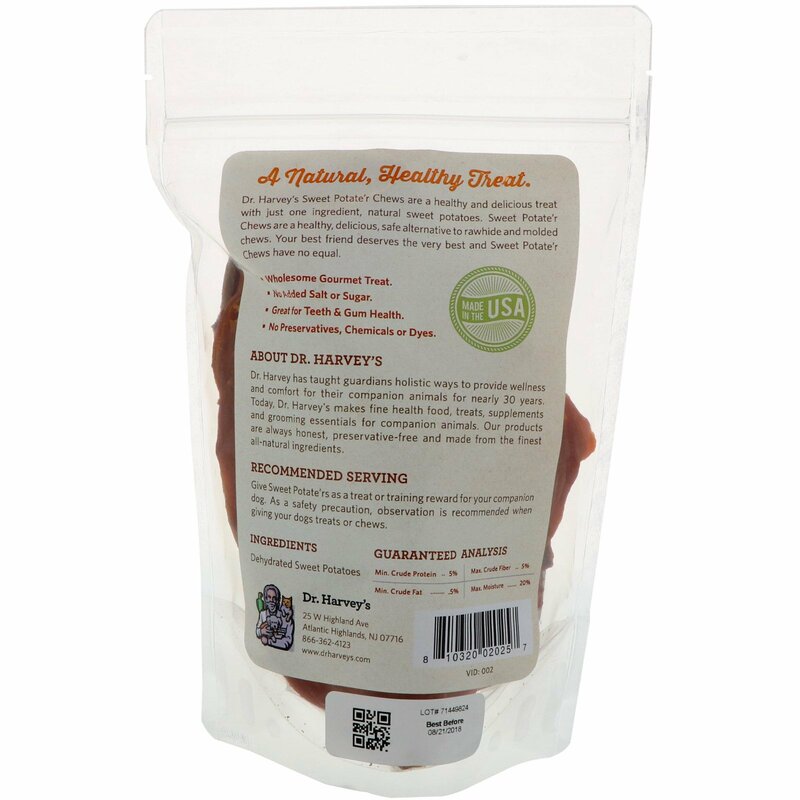 Today, Dr. Harvey's makes fine health food, treat, supplements and grooming essentials for companion animals. Our products are always honest, preservative-free and made from the finest all-natural ingredients. Give Sweet Potate'rs as a treat or training reward for your companion dog. 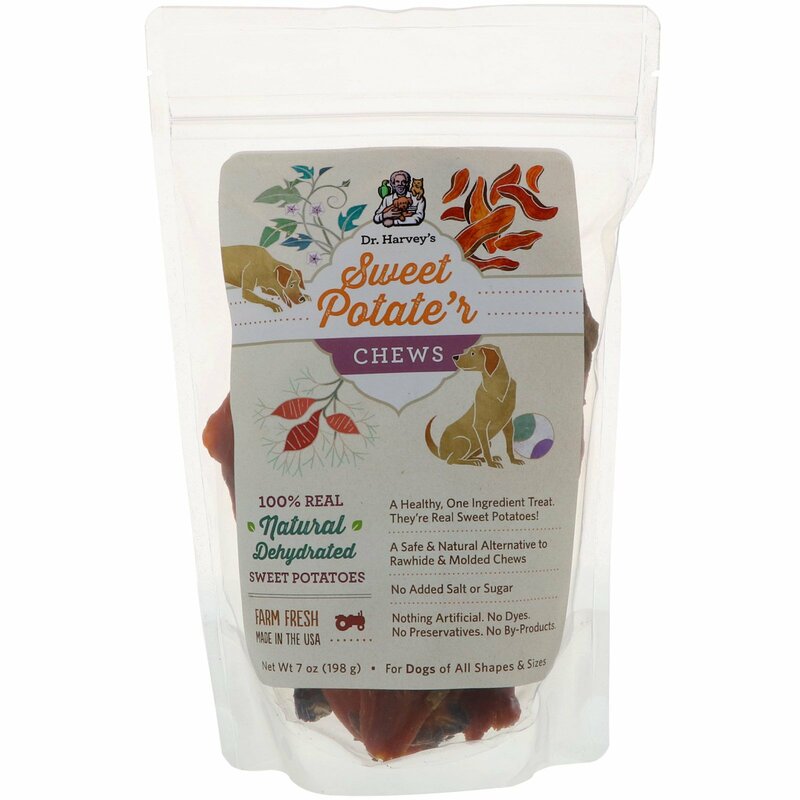 As a safety precaution, observation is recommended when giving your dogs treats or chews.